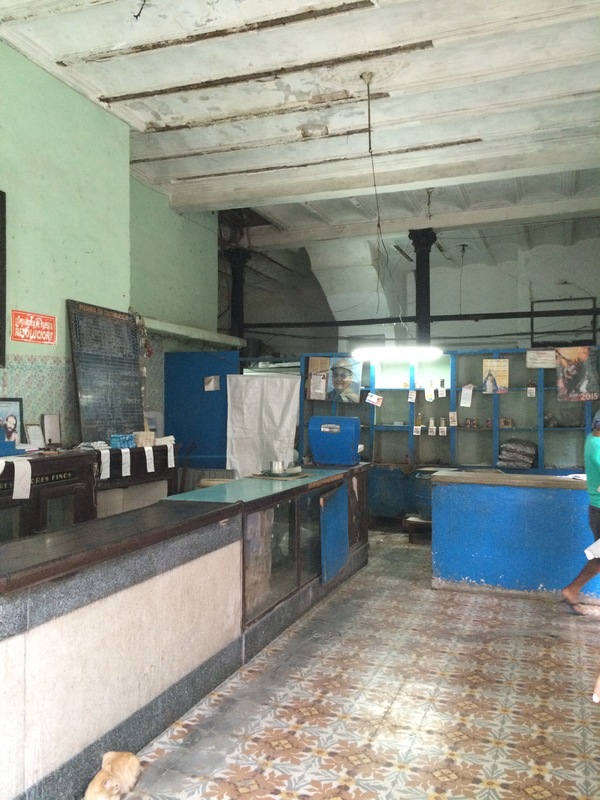 Rather than the cobbled streets, lively squares and colourfully painted colonial era homes and public buildings from tourist brochures, my first experience of Habana Vieja (old Havana) was that of dilapidation. I walked through narrow, sewage-laden alleys with crumbling buildings that looked like they could topple at any point; some already had leaving gaps in the road or at the very best uninhabitable shells. Built for wealthy merchants long before Spanish rule ended in 1898, these faded splendours had clearly seen better days. In one residential building I found in this neglected neighbourhood, there now live some 24 families (I counted the door bells) – once just a single family would have lived there. As I walked passed tatty bars and cafes, I passed groups of men playing dominos in the afternoon sun. Women queued at ration stores for their weekly allowances. People were friendly to me, smiling and greeting me as I walked down the street; it’s a shame I couldn’t speak Spanish back to them. Then just a few minutes further on, I reached the bits of Havana that seemed familiar, the types of scenes depicted in guide books. 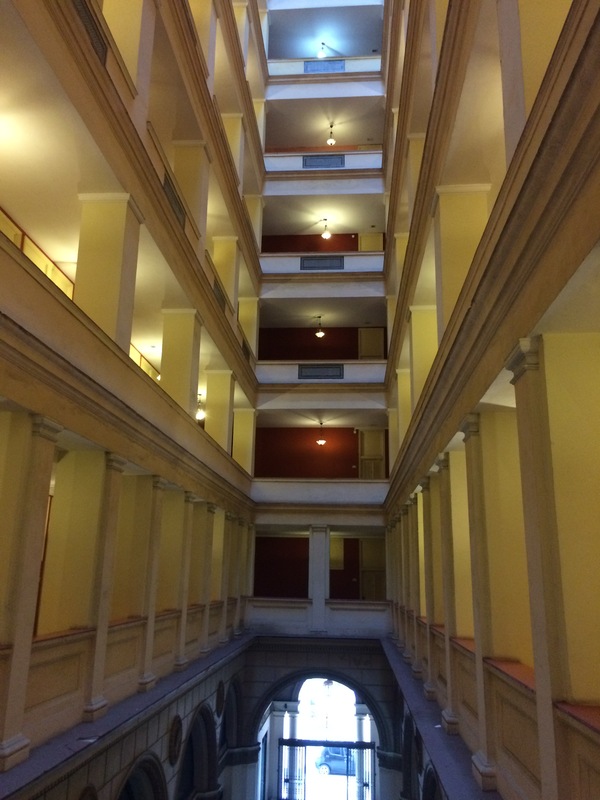 I popped my head in the splendid lobbies of a couple of wonderfully restored, historic hotels from the 19th and 20th century (like Hotel Florida, with a fantastic colonnaded central courtyard). And I wanted to have a mojito at La Bodeguita del Medio, the bar made famous by Ernest Hemmingway. Getting to the cramped bar just wasn’t going to be an option given the huge tour parties that were pouring out onto the streets. But I wasn’t too bothered as I had heard from more than one person that the standards have slipped since the author was a regular. And I would have plenty of great cocktails (mojitos and others) on my trip, in far more pleasant surroundings. The parts of the old town that are visited by tourists were brimming with activity – a British cruise ship docked nearby can only have helped – and cafes and restaurants in and around the four popular plazas were all busy serving lunches. Traders were ushering over visitors to look at their stalls – selling everything from books about the Cuban Revolution to antiques – while Cubans in traditional dress were offering people the chance to be pictured with them for a few pesos. The view from the roof terrace – reached by an original 1920s cage elevator – of Hotel Ambos Mundos was nothing short of superb and was an ideal place to take stock of the city while enjoying an excellent mojito. And on the way back down, I stopped to have a look at inside room 511, which is now a museum as it was Ernest Hemmingway’s base for around 10 years from 1932, where he apparently wrote three books. The original furniture has been preserved, with his original typewriter positioned on a desk allowing him to take in the magnificent harbour just outside his window. 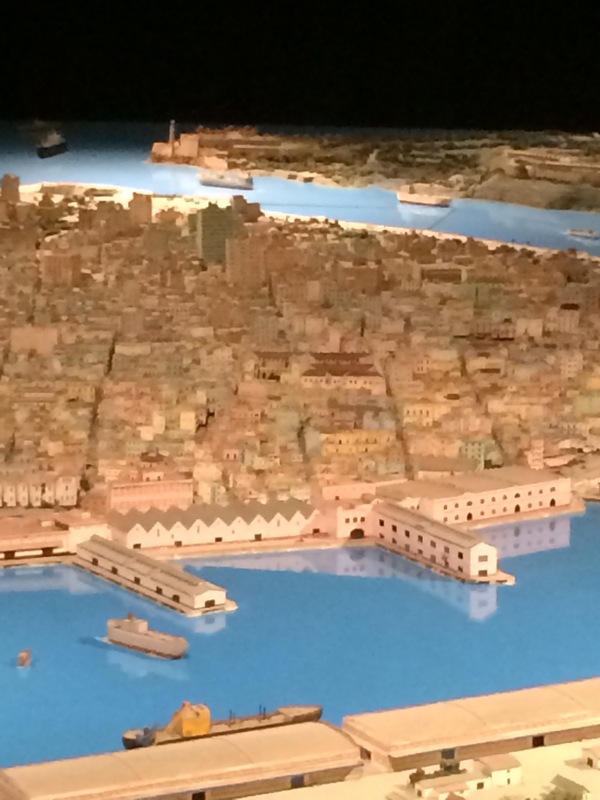 To get an even greater perspective of Havana, it’s worth having a look at an incredible model of the city, housed inside a darkened building on Mercaderes. Mood lighting is used to depict the capital at different times in the day. It was so detailed that I could even see the swimming pool of the hotel where I was staying. 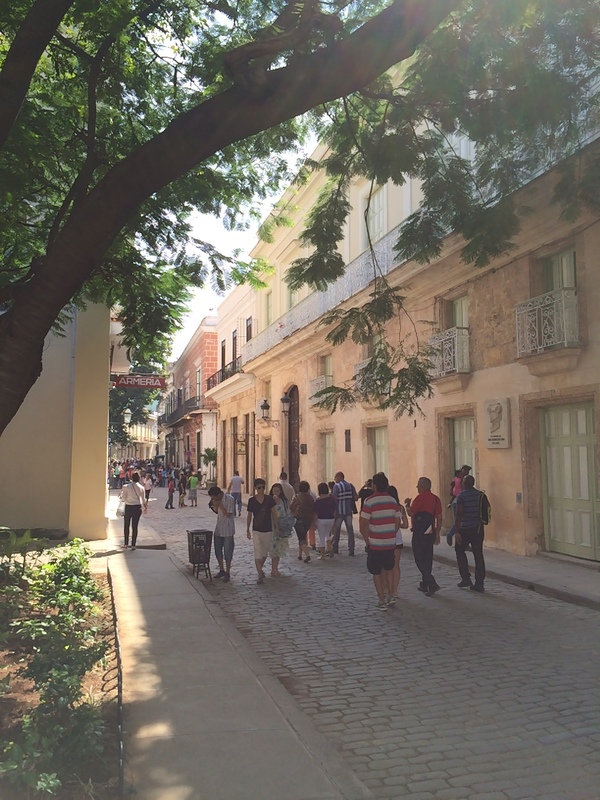 As the name and buildings found here suggests, Habana Vieja has been around for some time. Founded in 1519 on its present site (there had been two earlier attempts to create a city elsewhere, but needed to be moved due to mosquito infestations). Less than 10 years before, Diego Velasquez – a rich settler from neighbouring Hispaniola (modern-day Haiti) –conquered and brought the first true settlers to the island in 1511. Havana was one of the “seven villas” (early towns, which also included Trinidad) and it is believed that the first mass was said under a ceiba tree in present-day Plaza de Armas, which was first laid out in the 1520s. 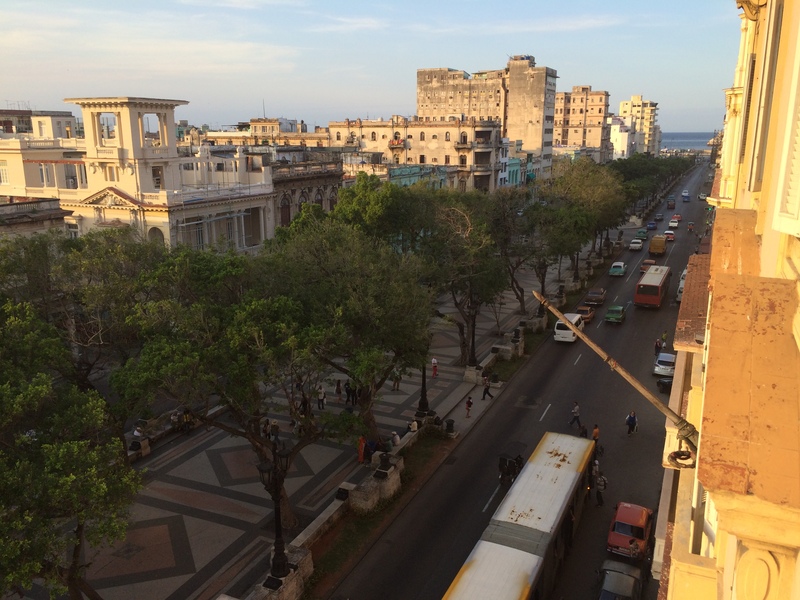 Today, it’s one of the four main squares – described in an 1859 account of Havana as having a “garden of rich, fragrant flowers in bloom” (a scene I also experienced) where a “military band plays for an hour every evening” – that have been restored and is popular with tourists. 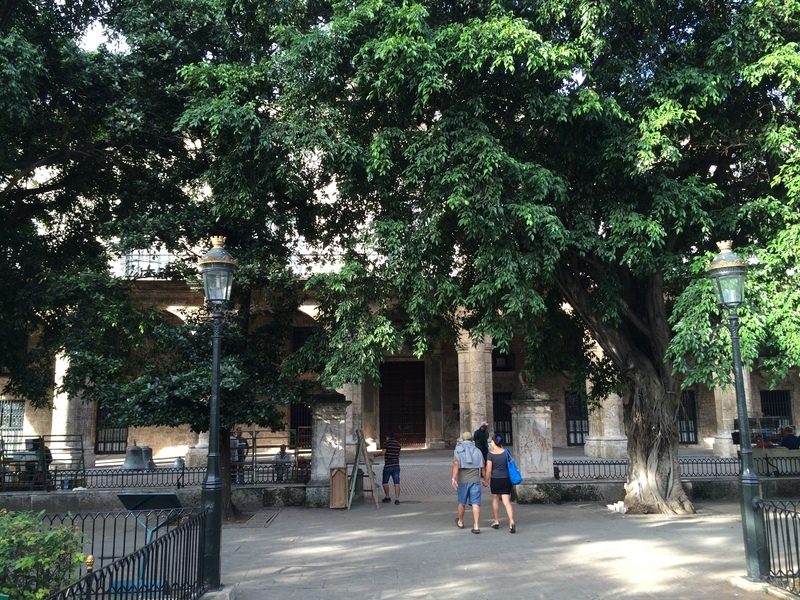 On my initial walk around old Havana, I went into the baroque, palatial looking building with a central shaded courtyard on the western edge of the square. Nowadays it’s the city’s museum – there’s an array of artefacts including period furniture, military uniforms from bygone days and a range of photographs of the old town – but soon after being built it became the residence of the Spanish captains general. US military governors were then based there and in the early 20th century it was the presidential palace. 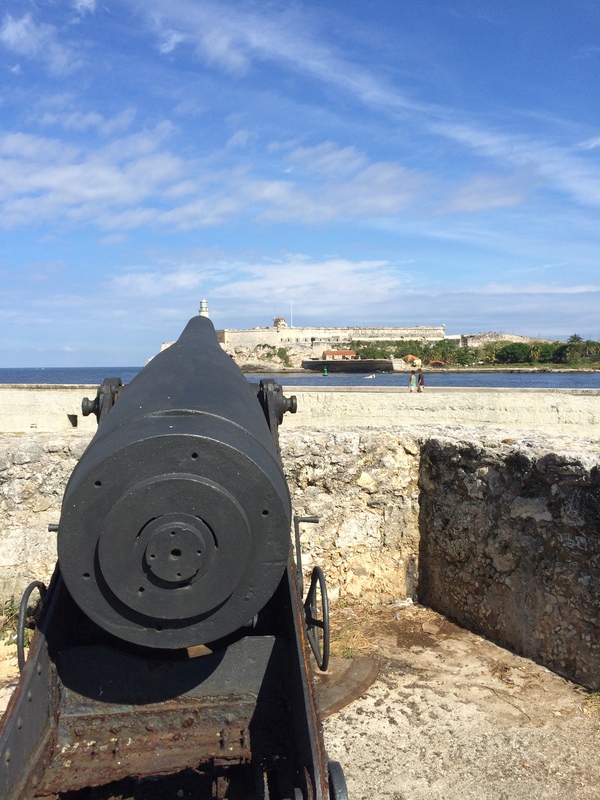 From Plaza de Armas, you also reach Castillo de la Real Fuerza – one of the oldest forts in the region given that construction began in 1558. Built by the Spanish as an attempt to help combat piracy, the structure – which today is an interesting museum about piracy – was however seen more as symbolic rather than an actual defence. The seas off Cuba became a central battleground as European governments set out to expand their empires meaning other fortifications would be added over the years in Havana (particularly after they were breached by the British in 1762, who went on to occupy Cuba for 11 months before taking Florida in a swap deal). Havana grew to be an important strategic stop-off point for ships returning to Spain with valuable minerals. They would sometimes wait – sometimes for two months – to build up a critical mass of vessels so they could travel together in the safety of a convoy. Havana therefore became an extremely cosmopolitan city, with a whole manor of trades setting up shop to “service” the fleets – from carpenters to prostitutes. And when the ships headed off it became an extremely quiet place, with accounts noting that even in the 17th century there were just a few hundred people living there. 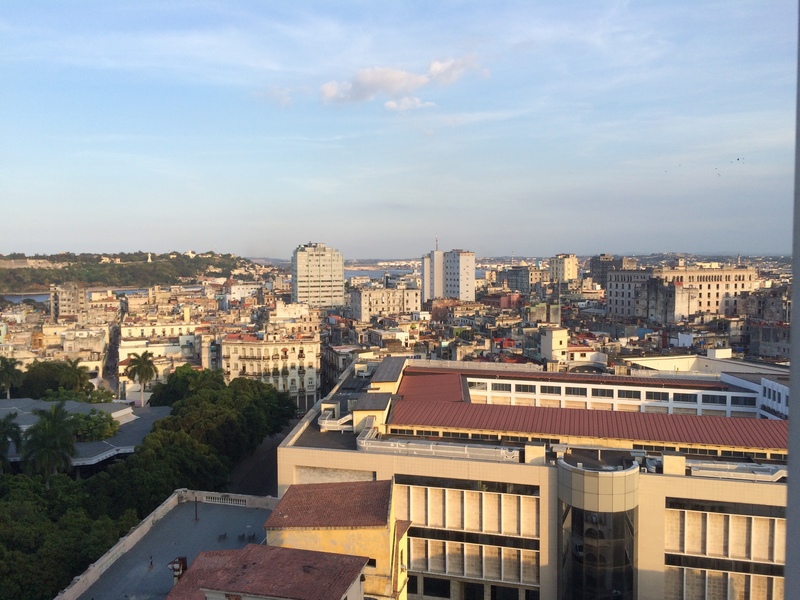 While Havana became crowded by the 19th century – resulting in many of the city’s elite building new homes on previously uninhabited land west of the original settlement – the Cuban capital had yet to reach its heyday. The presence of great hotels, which became – and remain – renowned institutions in their own right is testament to this, where many a famous author has stayed for sometimes lengthy periods of time. The first of these to be built was the neo-classically designed Hotel Inglaterra, which opened in 1856 on the edge of the old city and faces onto Parque Central, today the focal point of Havana. Jose Marti made an important speech at this splendid institution – which boasts a lovely terrace café at street level that’s perfect for watching the world go by – in 1879 calling for Cuban independence. As you travel around Cuba, there are numerous statues and squares named after him, such was the contribution he made to the cause. On my trip I was lucky enough to spend a in the incredible Moorish-influenced Hotel Sevilla, the place where Graham Greene is said to have written Our Man In Havana. It is right on The Prado and boasts a wonderful terrace swimming pool that is perfect for cooling down after navigating the hot streets of Habana Vieux. Having a bedroom that overlooked this iconic boulevard, I can say it remains a popular place to stroll, particularly in the evening. But seems to have lost its original glamour, where people dressed up. There was an art market and a range of other stalls along the Prado when I visited. And as one of the most touristy parts of Havana, this is one of the places that you are likely to get hassled with offers of everything from a taxi to the opportunity to be escorted to “the best” restaurant in town. As I found during my visit to the old city, Havana is a city of contrasts – some buildings are well cared for, others not so well. These extremes are perhaps best summed up by an account of Havana written by Anais Nin in 1922, where “misery is more apparent since one can see into the inmost heart of the houses through wide windows with doors flung open – across rooms to the very backyard.” She adds: “The poor are desperately poor; the rich are ostentatiously rich, but one feels at sympathy with both. Whatever repels is redeemed by much that much is touching.” How little has changed. 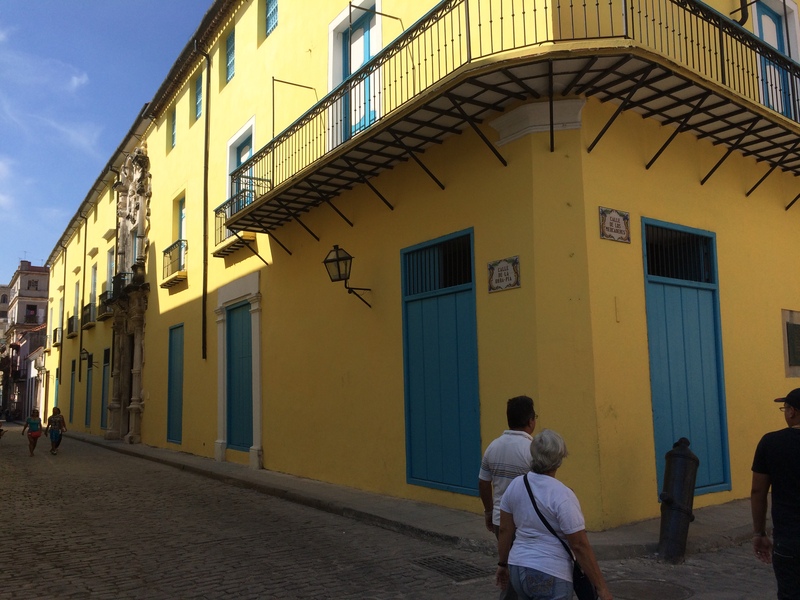 Tomorrow: I discover how money from tourism is helping to transform the buildings of Habana Vieux and the lives of its residents.